Big banana behind Davao bet’s defeat? Nenita Orcullo says because of her stand against the aerial spraying of pesticides, multinational banana companies launched a “massive campaign,” which included intimidating workers in banana plantations, to make sure that she would be defeated in the May 14 elections. 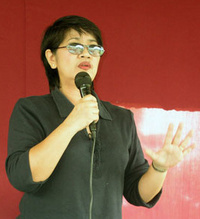 Orcullo, who authored the law that will implement the ban this month, said what happened to her sends a strong message to the city’s officials that they, too, can be destroyed by the banana industry. DAVAO CITY — The market will be flooded with Durian fruit with the forthcoming bumper harvest come August this year….